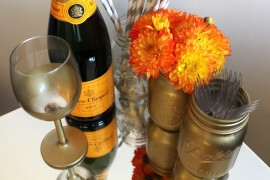 Good news design lovers- mason jars aren’t just for the kitchen anymore! 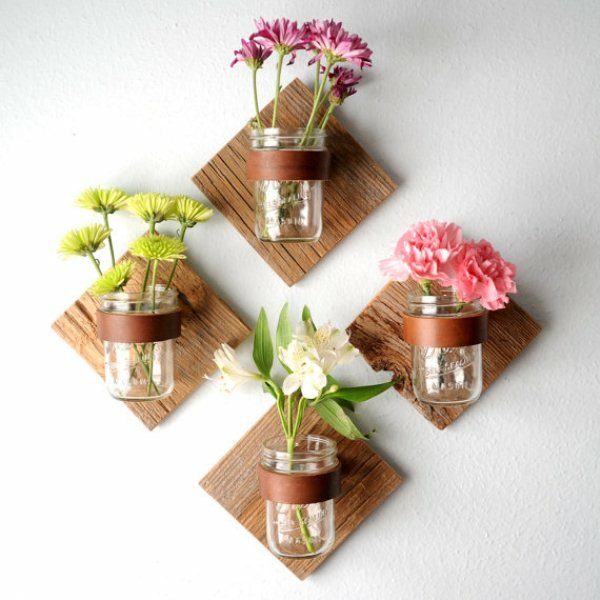 With the incorporation of repurposed items in everyday decor becoming more popular, mason jar projects are the perfect way to ease into the recycling trend. Plus, they’re easy to find, whether you nab a few laying around the house or grab some one the way through your grocery store. The possibilities for this simple household item are endless. 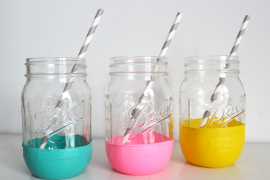 You just need a little inspiration, so here are a few mason jar DIYs to get you started. 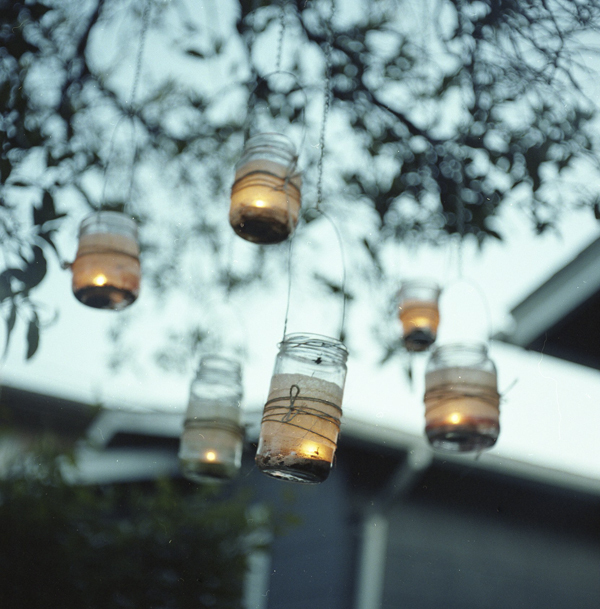 Simplicity is the design of choice with these mason jar lanterns from The Sweetest Occasion. Medium strength chain and wire are all you need to hang these gorgeous lanterns from your trees. 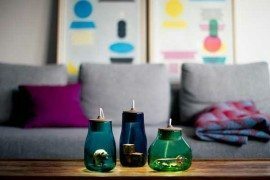 During the night, light the sky with some tea light candles for a soft, flickering glow. Your daytime exhibit will be just as stunning- the light will catch the glass at different angles and cast a festive display. 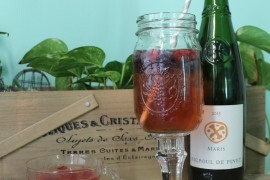 Planning the perfect summer gathering in the backyard? 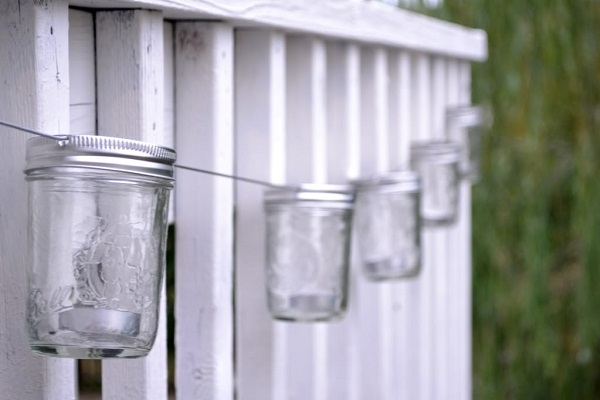 Complete your mini getaway with these mason jar string lights from Simply Bold. 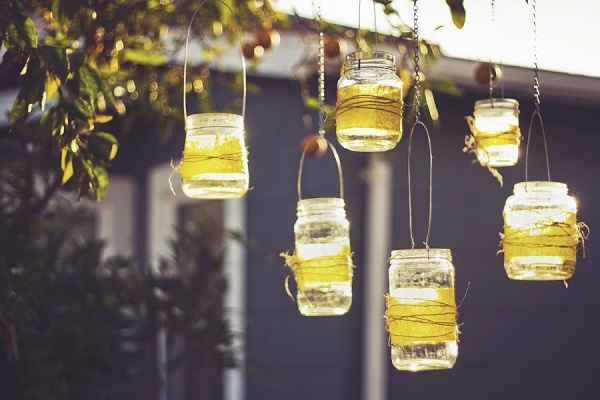 Forgo the harshness of a traditional backyard spotlight and opt for these cozy jars instead. Their soft glow will provide the ideal backdrop for all your warm weather memories. 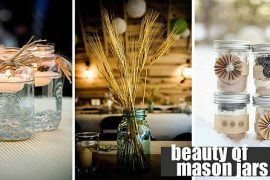 This DIY from Skinny Meg combines two commonly repurposed items: mason jars and wood palettes. While you can certainly purchases new ones for a clean slate (the palette featured here was about $2) you can create a satisfying and extremely useful design with the items you have on hand. 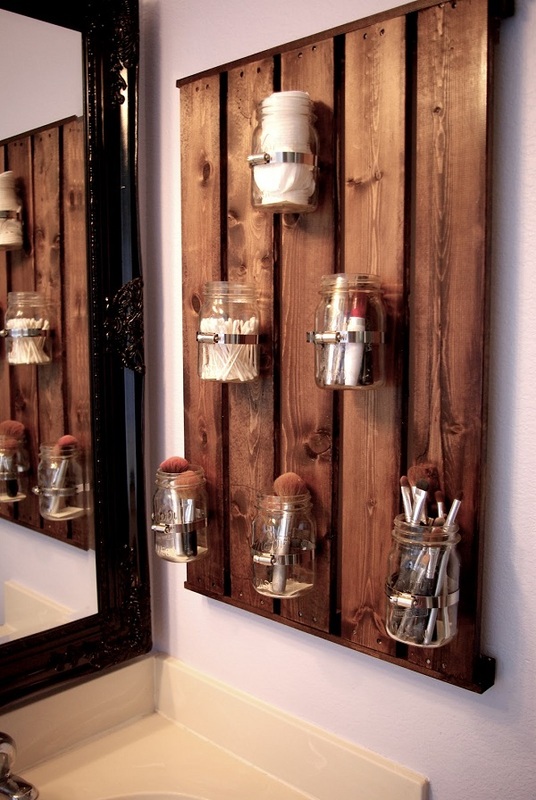 No matter which route you take, the end result is fabulous- just look at this beautiful bathroom organizer as proof. There’s no such thing as too much storage, right? After trying this DIY you’ll definitely agree! 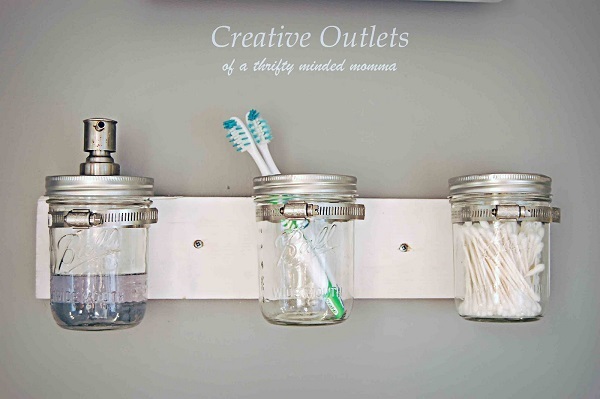 This mason jar organizer from Creative Outlets of a Thrifty Minded Mama solves a common bathroom conundrum faced by design lovers everywhere: a lack of counter space. 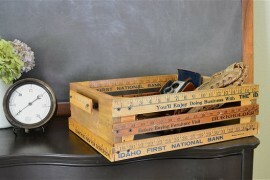 The simplicity and functionality of the organizer makes the perfect companion to your morning and night routines. Just screw three pipe clamps into a wood slab and attach to the wall using drywall anchors or studs. This DIY is also great for organizing small items- store buttons and tools in a craft room or nails and screws in a garage. 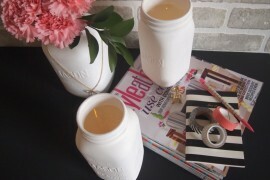 While possibly the easiest DIY on the list, this painted mason jar from Made by Andi makes a huge impact in any room. 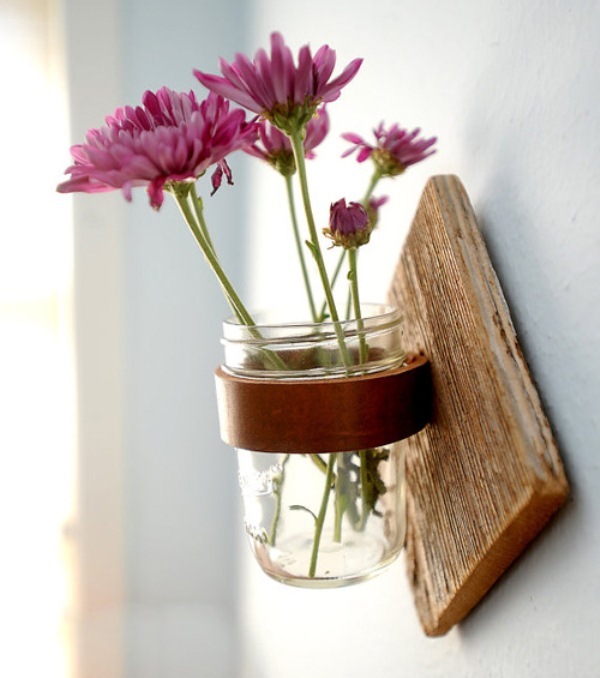 A few coats of paint and a light sandpaper treatment will leave you with a charming, shabby chic flower vase that will quickly become one of your favorite decor pieces. Leave the paint matte for a rustic vibe or seal with a high shine gloss for a modern appeal. 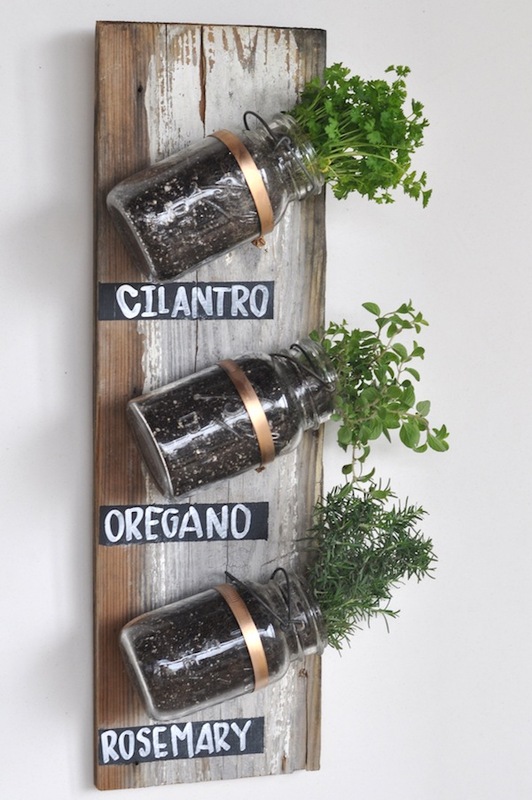 Imagine the convenience (and beauty) of an herb garden right at your fingertips. 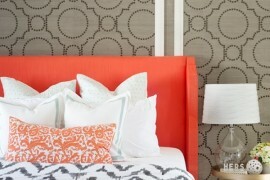 Your food and home would get a dose of fresh design- all in one project! This hanging herb garden from Camille Styles brings lushness to your decor in an unexpected way, and is perfect for those handy in the kitchen. To keep your plants healthy and green, line the jar with gravel before adding your plants. The water will drain to the bottom, keeping your herbs comfortably damp. 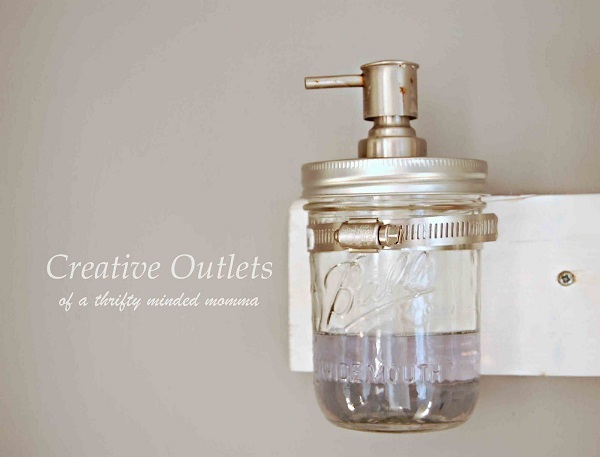 These mason jar sconces from Shelterness are a flawless blend of rustic and dainty charm. 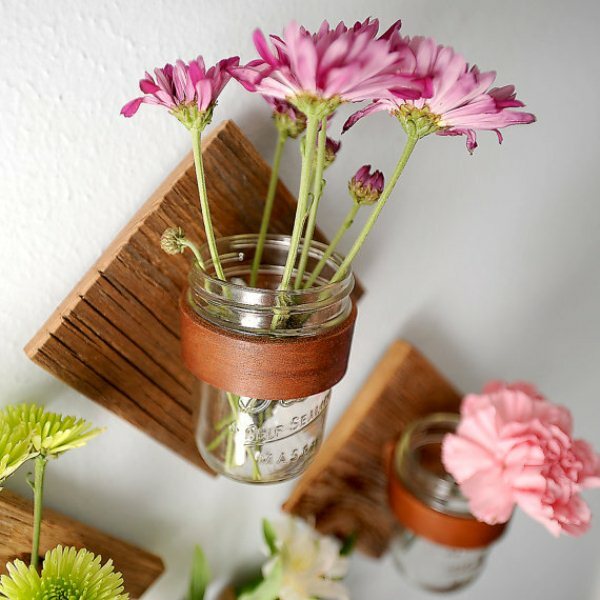 While reclaimed wood, leather and flowers are an unlikely combination, the resulting decor is dazzling. To keep the display up to date through the year, replace the flowers to reflect the changing seasons. Fresh daisies and carnations look amazing during spring and summer, while a mix bouquet of leaves and sage look great for fall and winter. 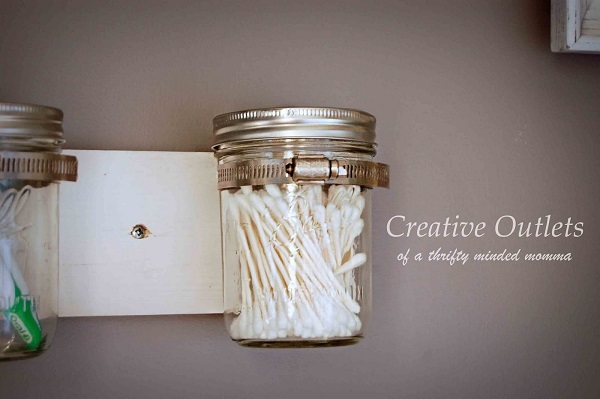 Mason jars are both practical and versatile- which makes them the ideal starting point for any decor DIYer. 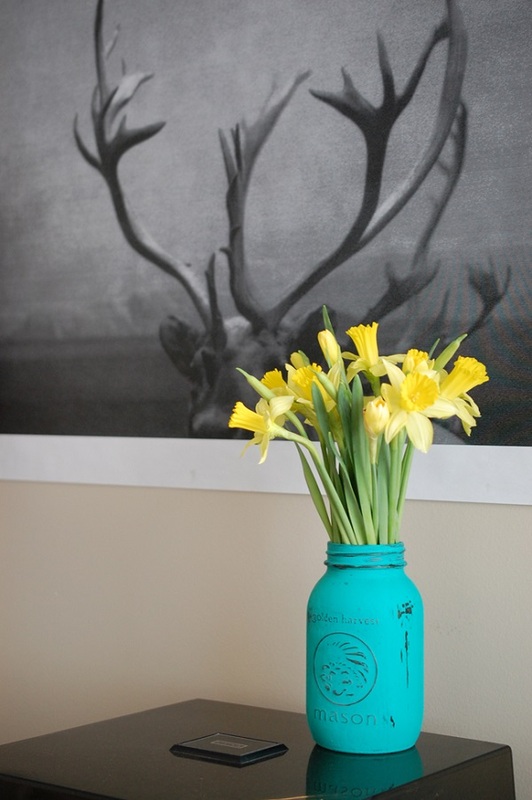 Whether painted or mounted, hung or tilted, mason jars are sure to provide some inspiration. Have a project idea you can’t wait to start? Tell us about it in the comments below.